Talks Between Cabin Crew Union and Lufthansa Management Breakdown - What Next? Senior managers at German aviation giant Lufthansa are said to have called off crunch negotiations with a major cabin crew union after just 35 minutes of talks. The key meeting between union officials and the company had originally been scheduled to last over two hours but quickly broke down after Lufthansa rejected a counteroffer made on behalf of cabin crew for improved working conditions. The Independent Flight Attendant Organization (UFO) claimed Lufthansa’s priority had been to “demonstrate toughness” with the union and its employees rather than constructively negotiating a fair settlement. The UFO has been demanding improved profit sharing, as well as a number of other improvements including better protection for pursers and securing payments for certain long-haul flights. It has also been revealed that the UFO is fighting a proposal by Lufthansa management to axe one Economy Class flight attendant position on long-haul flights. A similar plan by Dutch flag carrier KLM last year led to the threat of strike action although the plan was eventually backed by the largest cabin crew union at the airline when KLM agreed to make major changes to the in-flight service and crew rest provisions. During the latest round of negotiations, Lufthansa offered to provide cabin crew with enhanced ad diem payments on certain long-haul flights to Japan and Korea but only on the condition that profit sharing bonuses would be reduced. That’s on top of an existing plan to cut bonuses at the airline as bosses feel the brunt of rising fuel costs and increased competition in the sector. Lufthansa only recently announced plans to cut capacity growth to less than 4% on the back of “challenging conditions”. The issue of profit sharing isn’t just affecting Lufthansa. 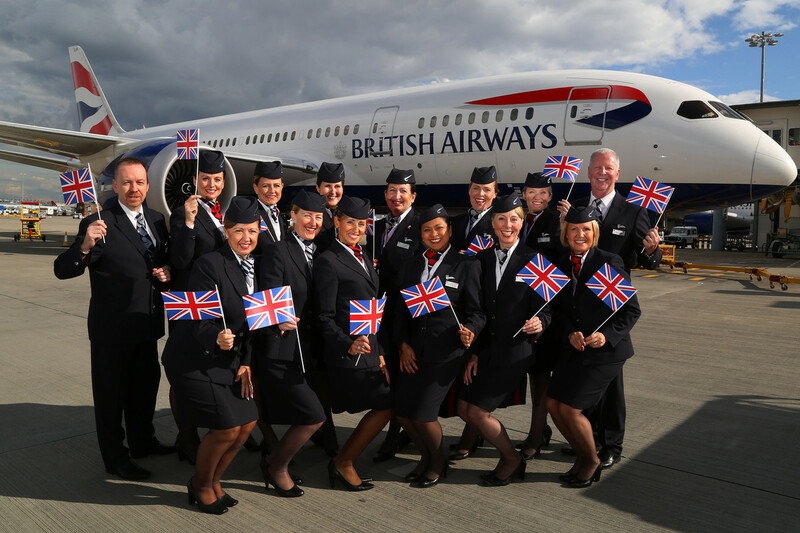 Fellow European airline, British Airways has also faced calls to improve its profit-sharing bonuses as part of a unified bid by three unions who represent cabin crew, pilots and ground staff at the carrier. The union says British Airways has become increasingly profitable on the back of the hard work of employees but BA has so far refused to budge, explaining that bonuses should also be linked to individual performance and not just profits. The prospects of strike action hitting both Lufthansa and British Airways at some point in 2019 is still a long way but it definitely shouldn’t be discounted. The last cabin crew strike at Lufthansa was in 2015 when the airline was forced to cancel over 1,000 flights in a dispute with the UFO. British Airways experienced days upon days of strike action in a long-running dispute with its so-called Mixed Fleet cabin crew in 2017. As it stands, the Lufthansa dispute only affects the mainline brand and not subsidiaries including Eurowings, SWISS or Austrian Airlines. We’ve reached out to Lufthansa for comment but had not received a reply by the time of publication.